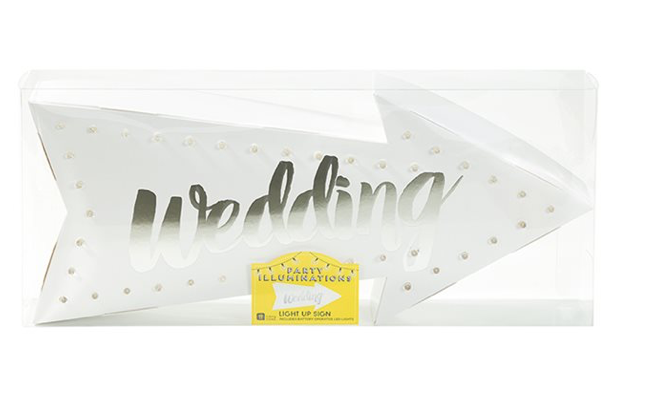 Light up your celebrations with our 'Wedding' sign. 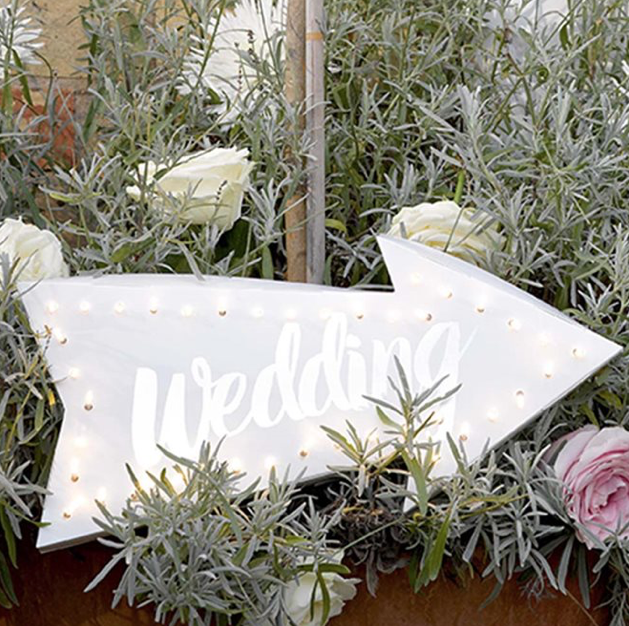 Our easy to assemble card sign is sure to brighten up the occasion. 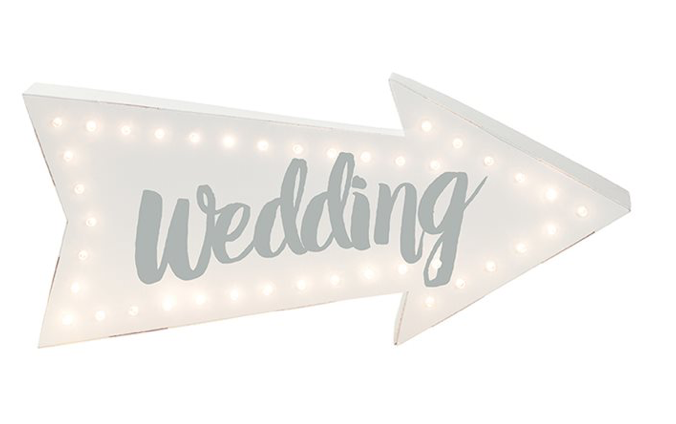 Featuring 40 LED lights, this shining spectacle can be placed anywhere! 3 x AA batteries needed.